Bailey Gray is tired of her perfectly planned life. Everything about her life has been organized and lived out to the expectations set of her parents. She is the class valedictorian, has perfect grades, the perfect friends, a perfect boyfriend, basically perfect life…or so everyone thought. That’s when she realizes the path planned isn’t always the path chosen. On graduation day she makes a decision. One that changes everything she thought she knew about her intended future. On a whim, she runs away with the town rebel, Dylan Wade, in search of the unknown. Dylan Wade isn’t looking to run away from anything. He knows what he wants as he’s been waiting on it for years. On a journey to find the unknown, they discover a friendship they once knew along the open highway and have not a care in the world. Between the yellow and white lines of the heated summer asphalt, a spark draws them together as Dylan’s past and Bailey future try to ripe them apart. Could it be that Dylan and his GTO are exactly what her perfectly planned life needs? Bailey has been raised to be perfect. To be the type of daughter her parents want her to be. Never setting foot out of line. But it comes to a point in your life where you have to stick your fingers up to your parents and say FU, I’m not being this person anymore, I want to be free and that is exactly what Bailey did at her high school graduation. It was like someone had flipped a switch and she just needed to be free from the shackles her family had her tied to her whole life. Fed up of being controlled by her parents, especially as her dad is the town mayor and expects nothing short of perfection, much like her mother’s attitude, graduation was a humiliation for them both, but I was so proud of Bailey for standing up to them, for ripping that part of her life away and wanting her freedom, to find herself. Dylan Wade is seemingly nothing of perfection. From losing his mother at a young age and rebelling since then, he is a tattooed bad boy who has been arrested more times than he can count. He and Bailey used to be friends when they were younger, but when appearances meant more to Bailey’s family, she was no longer allowed to see or speak to him. Although everyone judges on appearances and town gossip, even if most are true about him, there’s just something about him that draws you to him, especially Bailey, once again. Running away together, they slowly build up their friendship once again, as it’s a chance to be free from their town, from their family and just be their selves on this trip, even if they both are just running away from the things in their past and present. I ABSOLUTELY loved this book. I was consumed by its every being, unable to put it down; needing to read it page by page until the very end. Books that include old friends, road trips and freeing/finding yourself are books that I bloody well love to read. It’s the thought that I’d love to be in that very position, experiencing everything the characters are, so if I can’t do it, then I can live through their trip and experiences. 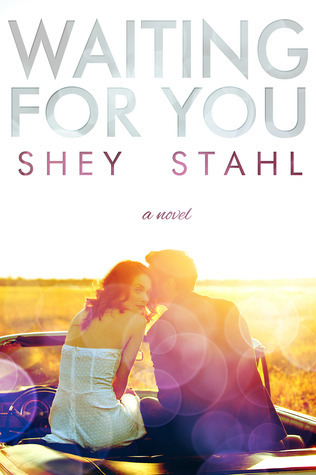 This was my first book by Shey Stahl, although I have her Racing series on my kindle. I loved the way she wrote this book. She captivated me, had me highlighting nearly every sentence, going on this journey along with Bailey and Dylan and had me going through the motions, from happiness, sadness, sexual frustration and tears. Yes, I did really feel everything Bailey and Dylan were. It was really hard not to, especially as I just mentioned I lived through them during this road trip. The one I truly wish I could go on. As I’ve mentioned, Bailey Grey has grown up doing everything right. Everything by the rules for so long. Shes sick of having her life planned out, from her school to her boyfriend and friends so during graduation, she flips and just wants freedom. Freedom to be her true self, to be reckless and enjoy her life; live for the moment. Dylan Wade hates being at home with his violent, drunken father. Since his mother died, nothing has been the same. He was very close to his mother and loved her so much. But now he’s just tired of being in the same house as his father, who occasionally beats him in his drunken state. He wants out and after graduation, he knows now is the time to run away, since watching the girl he’s wanted and waited for, for eight years to finally realize she’s had enough of being controlled. Asking her to come with him, Bailey doesn’t hesitate and goes with Dylan. On a road trip that neither of them were really prepared for. They both live for the moment. They love hard and go through a journey, both alone and together that you know will eventually end but right now, they are just basking in each other, learning to give up and be free, learning to love and feel. Feel that freedom. I loved the little things they both unveiled. Dylan loved music. He wrote songs, he played guitar and he sang. But he was very timid about his hobby, timid in the sense that he didn’t want to pursue it as a career, he just loved it enough to want to play in pubs and make enough money to live. Timid in the sense he was enclosed on stage, until he came out of his shell and became engrossed in what he was singing about, losing himself in the song. Bailey hasn’t known much in her controlled life, she knew enough but nothing about running away, feeling the wind in your hair and not knowing where they were going to end up. But what she did know and loved was photography. I really liked that about her. Taking pictures of sunsets, sunrises, of Dylan… But the sun was her thing. Something no one can take away from her. Every day for Dylan and Bailey was unpredictable, and every day they fell that bit more in love with one another, showing each other how to be free and alive; sharing that piece of special with one another. I have to mention the sexual frustration/tension/ pent up desire from both of them. It really got to me. No joke. I was frustrated along with Bailey, wanting and needing something to happen because it was just too much for them to not give in, although there were times when it got frigging steamy although it was Dylan who would pull back. I just wanted him to stop thinking and holding back and just f**k her because god knows they both wanted each other. I would have literally jumped his bones and told him to F**k me or I would find someone else haha. Seriously, it got to Bailey, it bloody well got to me too!! When the secret came out, I kind of had an inkling about what and who it was about. There were kind of clues throughout the book but it only really confirmed it when it all came out. My heart just broke in two for Bailey and Dylan. Their love was pure, it was overpowering, it was dangerous but it was true love and to have the secret come crashing down upon them, it tore them apart. The next few pages, I was hurting just as much of these two. Hurting for the secret, hurting for it tearing them apart, hurting for the heartbreak they both had but then I thought that maybe that is what they needed. They needed the pain and break after the intensity of their relationship and their love. A break to think about if they really can’t live without one another and if fate decided to step it, then it truly was meant to be. I truly loved the journey they both went on. From having lies fed to her, from being controlled all her life, it was breathtaking to watch Bailey take control of her own life, the way she wanted it to be and to be carefree and go with the flow. She was sweet and a bit naive but the road trip and being with Dylan made her feel more alive than ever before and make memories together. Memories neither of them will forget. Dylan was renowned for his recklessness, but we see the sweeter side of him. The side he doesn’t show hardly anyone. He respected Bailey, not pushing her into anything but just letting her experience everything. Although he had a temper, he really meant well and just wanted to protect Bailey. He loved her so much, since he was seven so I suppose waiting for her to feel the same way before pursuing anything, even though she kept pushing him, was so chivalrous of him. He only wanted what was best for her. I hung onto every sweet word he said and whispered to Bailey, making me fall in love with him too. The way he wanted her, the way he showed her how to live, it was beautiful. And of course, the way they both experience this trip together, as friends to lovers. Making memories that no one can take away from them, no matter how hard they try. I can’t mention enough times how much I was absorbed within Waiting For You. I fell in love with the characters, with their experiences, with their freedom, with their love for one another and their memories. It’s an amazing book to read, especially if you loved The Edge Of Never too, which I freaking did. I love the road trip books; there is just something about them. Definitely a 5 star book.